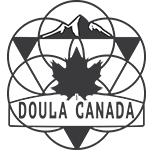 What is an approved “Educational Unit” at Doula Training Canada? An Educational Unit is a “point” you obtain by attending other trainings that will help you to grow your business. One Educational Unit is granted for every two (2) hours of additional learning you participate in. Example: 8 hour workshop is weighted as 4 EU credits. The total number of educational units required for certification can be found on the specific program pages. A student can use a maximum of 6 educational units per a course toward certification. Don’t have previous business experience? Haven’t experienced breastfeeding a child yourself? The Educational Unit requirement is an opporunity to take courses that will customize your training to your unique learning needs, but also build your skills to become a more confident support person! What if I need help through the process of becoming a doula? Are there any membership or exam fees?